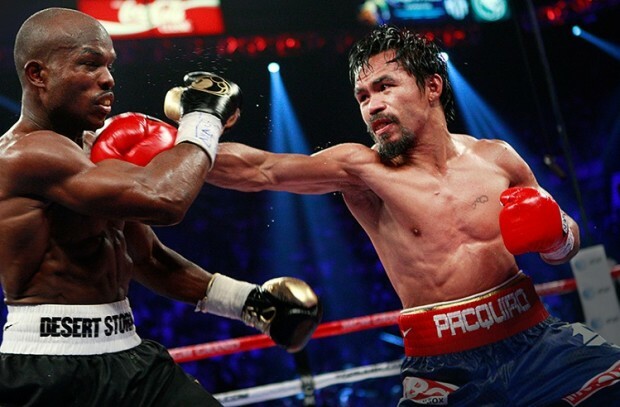 PacBradley I: Heist or Hyperbole? 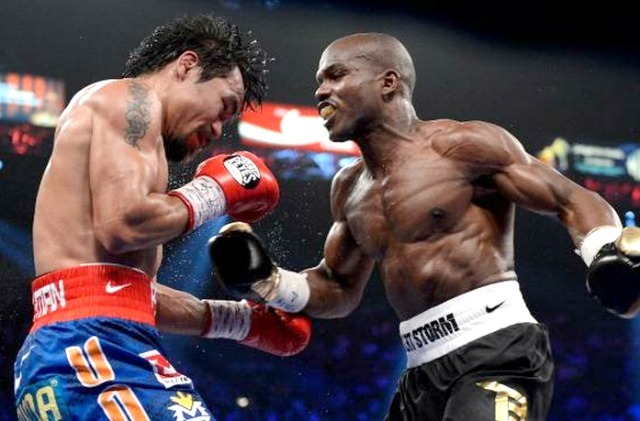 The MGM Grand Garden in Las Vegas will host the third and final chapter of Manny Pacquiao and Timothy Bradley’s welterweight trilogy tomorrow night, in what may well be the Filipino legend’s final ring appearance. While officially the bout serves as the rubber match in their three-fight series, many would argue that in reality Pacquiao should be entering the “decider” with a 2-0 lead, owing to the controversial nature of their first meeting. 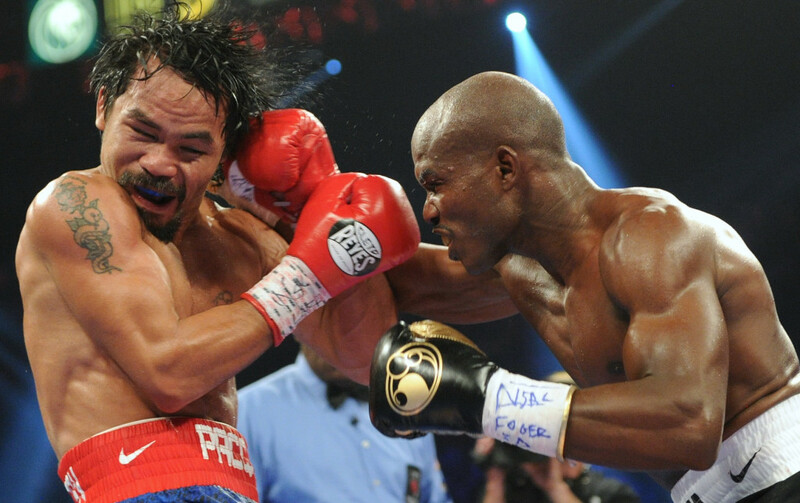 In June 2012, Bradley was awarded a split points victory over Pacquiao, relieving him of his WBO world title. Here, I take a look back at one of the most high profile, contentious decisions in modern boxing history, and question whether the judges’ verdict that night was deserving of the widespread outrage it received. 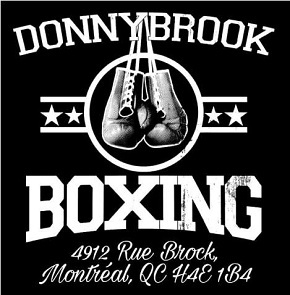 Following the announcement of the split decision in Bradley’s favour, HBO’s Jim Lampley immediately called it a “terrible, bogus decision” while Harold Lederman called it “a crime.” It was subsequently described as a “stain on boxing” (Lennox Lewis), one of “the worst decisions in boxing history” (Dan Rafael), “a highway robbery” (Jeff Mayweather), and the result of “incompetent or corrupt officials” (Teddy Atlas). HBO’s “unofficial official” judge, Lederman, had Pacquiao winning the fight 119-109, or 11 rounds to one. ESPN.com’s Dan Rafael had it by the same margin. The Ring magazine’s editor, Michael Rosenthal, had Pacquiao winning by 118-110, or 10-2 in rounds. In fact, of 55 media writers listed on Wikipedia, 52 of them saw Pacquiao as the clear winner. 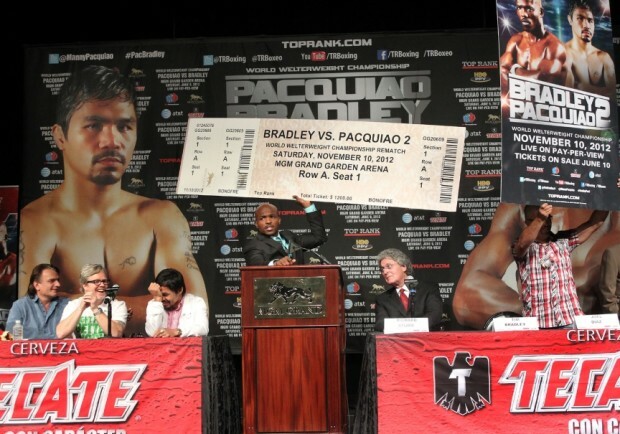 Everyone laughed in 2012 when Bradley predicted a rematch; now it’s a trilogy. CompuBox punch statistics seemed to support the majority of the media and the HBO broadcasting crew. 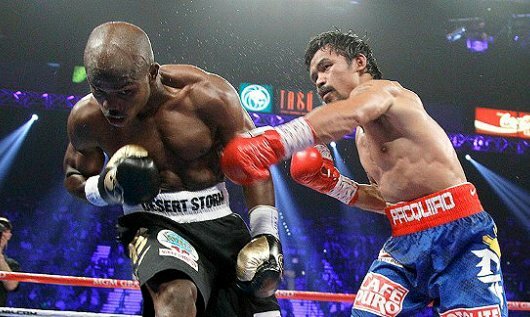 They showed Manny Pacquiao landing a total of 253 to Timothy Bradley’s 159 punches during the fight, out-landing him in ten of the 12 rounds fought. 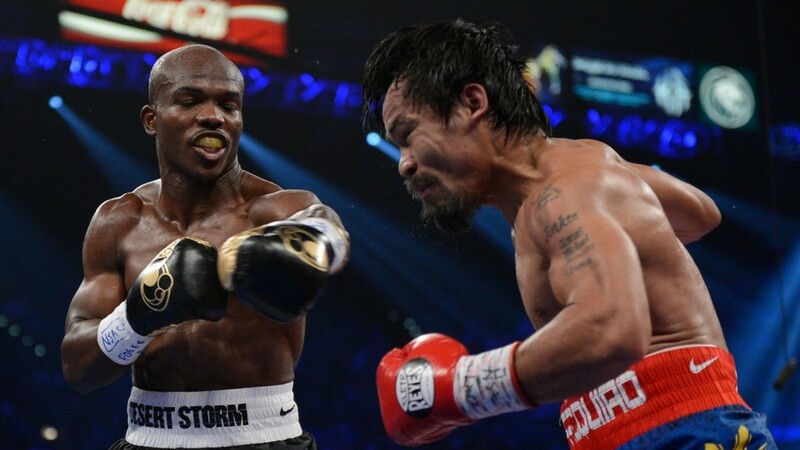 This included 190 “power punches” to Bradley’s 108, as well as a much higher total connect rate of punches thrown (34% for the Pacman to 19% for Bradley). Following the HBO and media-led outcry after the fight, the World Boxing Organization set up an investigation into the scoring, assigning five experienced judges to watch the bout and score every round. By comparing each of the five investigative judges’ scorecards for the 12 individual rounds with the original three judges, it is easier to see if a judge is doing a “poor” job of scoring, because they will typically be in a minority when selecting the winner of a given round. Normally, a judge can only be in a minority of two-to-one, but in the context of this investigation they could potentially be in a minority of seven-to-one, a far stronger indicator that their scoring was unreliable. If this occurs with any amount of frequency throughout the fight, it is safe to conclude that he or she is doing a pretty terrible job. On the flip side, if a judge frequently agrees with the majority of the other judges, we can safely conclude that they are doing a fairly decent job of scoring the contest. Assuming this is true, where one or more judges score a boxer the winner of a round, it seems reasonable that, at the very least, a case can be made for this fighter deserving credit for the stanza. 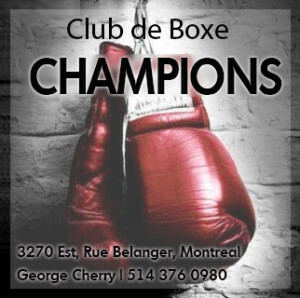 Whereas, when there is unanimous agreement among the judges, this can fairly be called a decisive round in that boxer’s favour: no reasonable case can be made for the opponent winning. Did some of Manny’s misses look like hits? Interestingly, of the combined panel of eight judges scoring the fight (three at ringside plus the five independent judges assigned to investigate) they unanimously agreed on only two rounds that Manny Pacquiao won (rounds three and six) and on one round that Bradley won (round ten). Put differently: eight experienced, world-class judges could not agree on nine of the 12 rounds scored, and at least one judge thought Bradley did enough to win [i.e. a “case could be made for him”] in ten of the 12 rounds scored. Taking out the original three judges from the analysis for a moment (because they might be “bad”), we still find only five rounds that the investigative panel unanimously scored as winning rounds for Pacquiao – less than half of the fight. This is at odds with the notion that Pacquiao dominated the match. Is there any reason to be so cynical and take out the original three judges from our analysis though – that is, did any of them turn in a card that was regularly at odds with the majority of the panel? The evidence says no. Taking the scape-goat, C. J Ross as an example (she scored the fight 115-113 or 7-5 in rounds for Bradley), there was not a single round in the fight where she was completely isolated in her opinion of the scoring: in 12 of the 12 rounds scored, at least one of the other seven judges agreed with her assessment. In fact, in eight of the 12 rounds scored C. J Ross had at least three of the five investigative judges agreeing with her, and at least one of them agreeing with her in 11 out of 12 rounds. According to the investigation, she was therefore part of the majority opinion of the panel most of the time in her scoring. The only reasonable conclusion to be drawn from this is that she did not (at least on this night) forward a card anywhere near as terrible as has been suggested in the time since. Some thought Manny dominated with his powerful left hand. 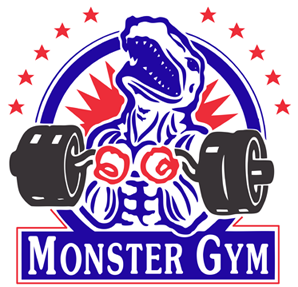 As for the other judges – Jerry Roth and Duane Ford, respectively – we see a similar story. Roth did not find himself being isolated in his scoring for a single round during the fight, and compared against the whole panel of seven other judges (under the incredible presumption that the original judges were, after all, doing an honest job) Roth’s assessment constituted the majority opinion of the group in every round except round 11, which was evenly divided among the eight officials. It’s safe to say, therefore, that Jerry Roth had a pretty good day at the office. It also seems to be a strong indicator that his card was the most reliable reading of the fight as a whole (he had Pacquiao winning 115-113, or 7-5 in rounds). Ironically it was Duane Ford, lauded as the “dean of boxing judges” by Lederman just before the fight, who actually found himself in the minority opinion more often than any of his colleagues (he also scored the fight 115-113 or 7-5 in rounds, but for Bradley). But at least one other judge from the total group of seven agreed with him on ten occasions throughout the fight, a strong indication that even where he was in the minority, a case could be made for his reading of the round. 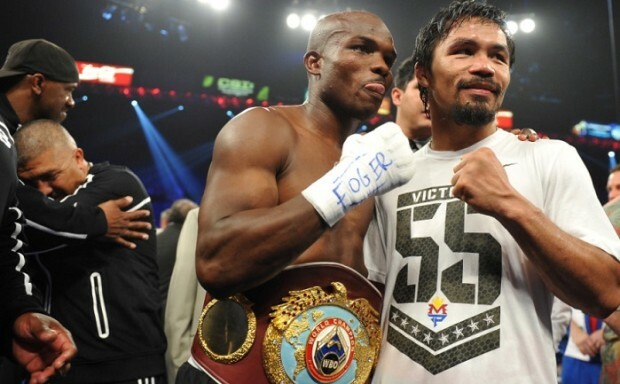 Bradley gave Pacquiao more trouble than most realize. This sounded a lot like a reference to HBO’s emphasis on Compubox punch stats, which do not always provide the most accurate story of a fight. What Compubox does well (we assume) is to provide an objective measure of how many punches are thrown and landed in a boxing match. In terms of professional judging though, this constitutes only one part of a wider scoring philosophy. What Compubox does not do is provide an accurate reflection of all of the criteria that the judges are actually adhering to (which also include effective aggression, defence, and ring generalship). In this sense, it can be a dangerously flawed tool in assessing the winner of a professional fight. It was Lampley who, somewhat ironically, presented a fine illustration of this during his Fight Game examination of the scoring. He took the time to highlight that in round seven, Compubox showed that Bradley had been out-landed by 27 punches to 11, and then played the round back without the accompanying commentary, inviting viewers to score it themselves. “All three judges scored that round for Bradley. Smoking gun? You decide,” he stated after playing the video. The exercise was certainly intended to provide a smoking gun, but it ended up having the complete opposite effect. First of all, attempting my own count of the punches on four separate occasions, I had Bradley landing at least 24 blows, with Pacquiao connecting on about 25. So while I had roughly the same number for Manny as Compubox, I found more than double the number they counted for Bradley. Many of the rounds were tricky to call. The lessons to be drawn from this are (1) “counting punches” is a much harder task than it seems, because on many occasions it is not easy to tell whether a clean punch even landed, or if it grazed the target or was partially blocked; (2) the Compubox punch stats should, at best, be taken with a pinch of salt; and (3) regardless of whether you add or subtract a few punches from each fighter’s punch count, round seven was clearly a close, competitive round with both fighters landing and (crucially) missing many punches. Two out of five judges on the WBO’s investigative panel in fact choose Bradley as the winner (agreeing with the original judges) in this round, while three went with Pacquiao. Which is pretty much the definition of a round that “could have gone either way,” contrary to what Jim Lampley and the Compubox stats suggested. Bradley landed his share of quality punches. What all this amounts to is that Pacquiao vs Bradley I was a boxing match containing many close, indecisive rounds, rounds where a case could be made for either boxer. The WBO panel set up to investigate the outcome ultimately thought Pacquiao won, with all five judges scoring it in his favour, and we should accept the conclusion that he deserved the decision. However, the wider point in the context of the controversy is that they could not agree on exactly how he won the fight, with the majority of individual rounds actually disputed among the judges. 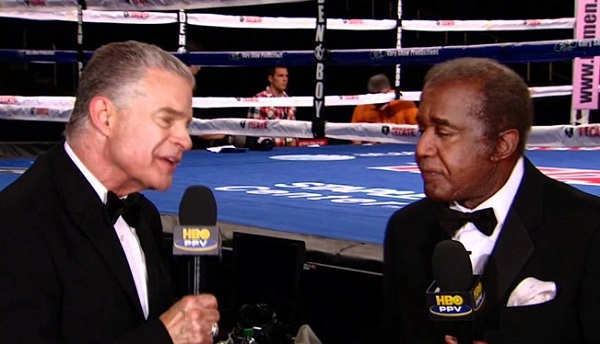 Lampley and Steward: Not a great night for the HBO team. It was a similar story all over the internet: almost everyone in the media seemed to agree that Pacquiao deserved to win the fight as a whole, but hardly anyone could agree on exactly which rounds he won beyond dispute, and which ones Bradley “nicked”. In the midst of all the hyperbole and outrage that followed the match, this important fact gets overlooked far too frequently. Far from being a “highway robbery,” all of the evidence actually suggests that the match was a classic example of a highly competitive boxing match which was difficult to score and that featured frequent disputes among the judges and barely any individual rounds unanimously agreed upon. Manny Pacquiao may have been on the end of a wrong decision – even a controversial, unusual decision – but he was by no means on the end of a corrupt or outrageous decision. More fans, I think, ought to bear that in mind before calling the integrity of the judges, or the sport as a whole, into question. 52 of 55 media members thought pacquiao won but “all the evidence suggests it was a classic example of highly competitive boxing” . ridiculous grasping at straws. it was a robbery.